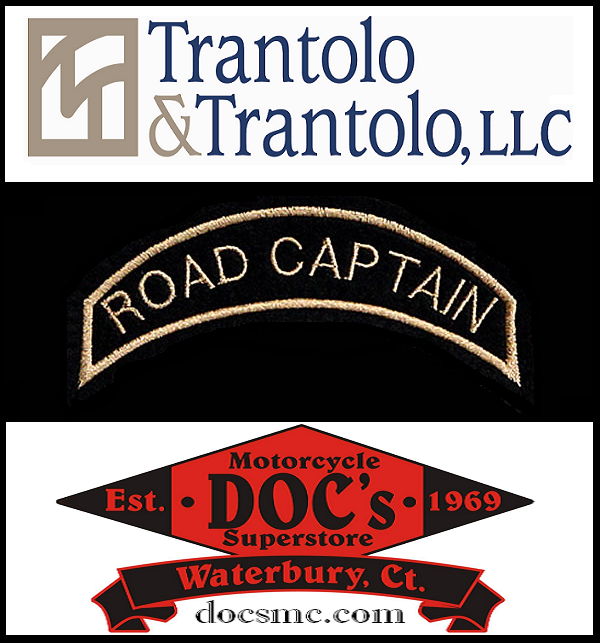 Doc’s is pleased to announce that we will be Co-Sponsoring a FREE Road Captain Seminar with Trantolo & Trantolo. This seminar will be held on March 7 from noon to 2 pm at the Holiday Inn, 3580 East Main Street, in Waterbury. At this Road Captain Seminar, you will be provided with the information you need to organize your own successful Motorcycle Ride or Event…are there fees involved, do you need permits? police escorts? safe routes? how to plan a ride and more!! The Connecticut State Police as well as insurance spokesmen will be on hand to answer your questions. All we ask is that you RSVP if you plan on attending. You can by contacting Norm LeBlanc of Trantolo & Trantolo at norml@trantololaw.com or by phone at 860-830-1256.